Did you know that one out of three kids living in Yavapai County wake each day unsure of getting enough to eat? Food insecurity (lack of access to enough nutritious food to support an active, healthy life) also strikes one in five Yavapai County adults and one in seven seniors. 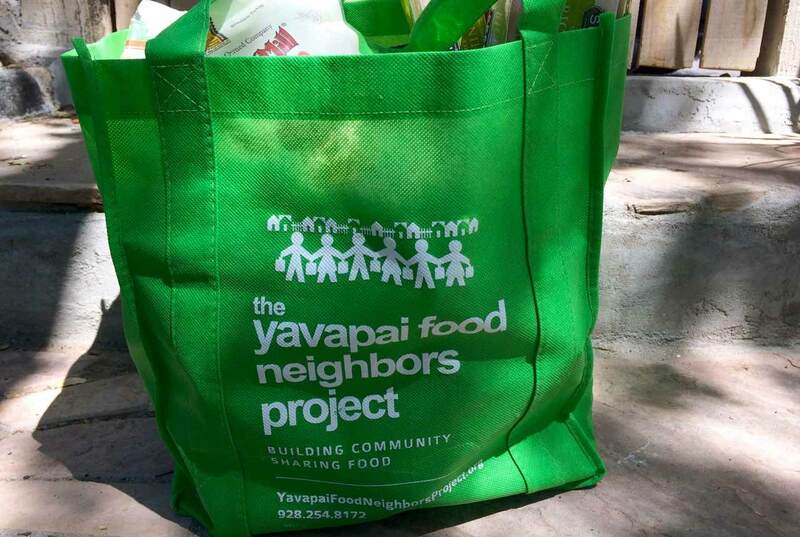 If you are looking for a way to help, consider joining the Yavapai Food Neighbors Project. It’s an effective, highly successful community program that makes it easy to share food with hungry neighbors by providing regular food donations to local food banks, year-round. Food banks are lifelines for individuals struggling with hunger, and donating food is one of the ways concerned individuals can lend a hand to those who suffer with food insecurity. Unfortunately, food banks struggle with periods of feast and famine: enjoying large donations of food around holidays, but turning hungry people away when donations dwindle and no longer meet community needs. The Yavapai Food Neighbors Project aims to fix that problem by filling food bank shelves with nutritious food year-round. Project donors simply fill one reusable grocery bag with non-perishable, nutritious food and leave it on their doorstep on the second Saturday of every even-numbered month. That’s all there is to it! Volunteers pick up the bag, leave the donor a new bag, and take the food to a central collection area. The food is then sorted and distributed to local food banks, or to child hunger programs, like the Weekend Backpack Program, which sends kids home from school with supplemental food for the weekend. Many kids suffering with food insecurity have little to eat when they are not at school, and rely on the National School Lunch Program for a large portion of their weekly calories and nutrition. The Yavapai Food Neighbor Project is one of four projects managed by the Yavapai Food Council, a non-profit organization that helps feed hungry people throughout Yavapai County. 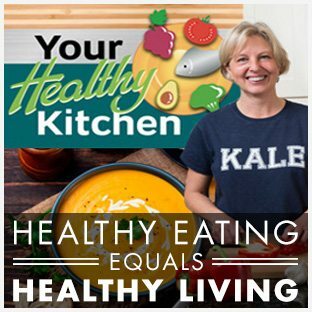 The project started in August 2013 as a pilot program and is now part of the National Food Neighbors Project and partner to the original Food Project, which started in 2009 in Ashland, Oregon. In the video below, Amy Aossey, Executive Director with the Yavapai Food Council, takes time from a busy (and windy) local collection to describe the project and to praise the ‘amazing group of volunteers’ who contribute to its growth and success. The project has grown from one collection site in 2013 to five, including sites in Prescott and Prescott Valley. According to Bob Painter, Yavapai Food Neighbor Project District Coordinator, concerned individuals throughout Yavapai County have donated 383,963 pounds of food to the Food Neighbor Project since the first collection in the Verde Valley in 2013. That roughly equates to 14,000 pounds of food per month and a total of 320,000 meals for hungry neighbors. Prescott donors supplied over 6,000 pounds of food during the June 2017 collection, continuing a trend of record-breaking donations. Food donations are typically low during the spring and summer, so that extra food was a boon to Prescott area food banks. According to 2014 data, Yavapai County has a food insecurity rate of 17%, which is higher than the national average. One green bag, filled with non-perishable, nutritious food, can help fill food bank shelves and nourish more than 36,000 people in Yavapai County who are unsure of getting enough to eat each day. For more information, or to volunteer with the Yavapai Food Neighbors Project, visit http://yavapaifoodcouncil.org/emergency-food-programs/food-neighbors-project/ or call 928-254-8172. I read this article and found it very interesting, thought it might be something for you. The article is called Yavapai Food Neighbors and the Power of One Green Bag and is located at https://yrmchealthconnect.org/yavapai-food-neighbors-power-one-green-bag/.